Incorporated in 1908 and situated along the Navesink River, the Monmouth County borough of Red Bank is a beautiful, historic and cultured place that’s a perfect place to raise a family. If you’re planning on moving to, from or within the Red Bank, New Jersey area, trust the skilled and experienced professionals at Simonik Warehousing & Transportation to get you where you need to go with ease. Using our high-quality equipment provided to us by our partners at Allied Van Lines, our Red Bank movers will execute the smooth and stress-free relocation you desire. Residential Moving: Regardless of the size of your household or distance to your destination, we’ll provide you with an experience that’s nothing short of spectacular. Commercial Moves: Our Red Bank movers have the skill and equipment needed to minimize the downtime of your commercial relocation. International Moving: Paris, Tokyo, Moscow – you name it! We’ll help you move to virtually any international destination. Storage: We offer commercial and household storage options in our spacious and secure facility. Specialized Moves: From fragile pieces of artwork to trade show equipment, we can relocate just about anything. Warehousing and Distribution: Utilizing our expansive warehouse and large fleet of state-of-the-art trucks, we’ll provide your business with the logistics solutions to help it grow. 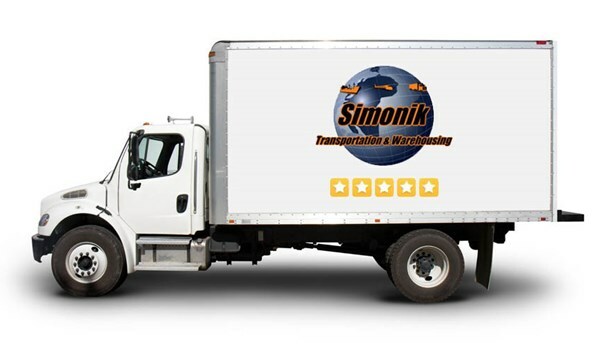 For more information on our unparalleled services, contact Simonik Transportation & Warehousing today. Give us a call or fill out our online form to receive your free quote!